This month’s SAA Volunteer Spotlight features Susan Gagnon, chamber music coordinator for the 2010 SAA Conference. Tell us about yourself—your studio, your background, and how you became involved with Suzuki. I have been teaching using the Suzuki method since 1983. I took my first teacher training course at the Guelph Suzuki Institute in 1983. At that time they only offered violin training, but three cellists had enrolled for the course, so they had Annette Costanzi teach us. I have since taken training with Gilda Barston, Tanya Carey, Carey Beth Hockett, Rick Mooney, Carol Tarr, Jean Dexter and Catherine Walker. I became a teacher trainer in 2001. I am the Suzuki program department head at the Royal Conservatory of Music and the current Chair of the Suzuki Association of Ontario. Describe your responsibilities as chamber music coordinator. I shared the following responsibilities with Melinda Daetsch; they included choosing from submitted audition DVDs pre-formed chamber music groups to participate in master classes given by the Claremont Trio; choosing from submitted audition DVDs participants for non-preformed chamber groups, organizing them into groups, and choosing repertoire for them to work on over the course of the conference. Then we had to ask SAA members to coach these groups in preparation for their master class participation. The music had to be bowed in advance, scanned and sent to participants so that they could learn it in advance of the conference. We also had to choose conference session proposals submitted on the topic of chamber music and find hosts and door monitors for these sessions. During the conference, we announced all of the chamber music master classes and ensured that all of our sessions had everything that they needed and were able to run smoothly. Working with Melinda was enjoyable and reassuring. We both listened to all of the audition DVDs separately and made our prioritized lists of participants. It was interesting to see how closely we agreed. It actually was quite satisfying seeing how much the kids enjoyed their chamber music experiences at the conference. At one point during the conference, I had to be in three places at once when Melinda was involved in an orchestra rehearsal for a concert at the conference. It was also challenging finding sufficient time to listen repeatedly to the DVDs to ensure that we had made the best decisions. Why did you want to volunteer for the SAA? I wanted to be able to contribute to the SAA and help make the conference a success. 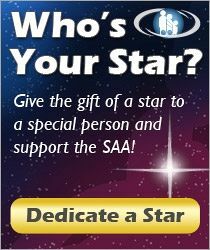 I wanted to give back to the SAA, which has given so much to me. The satisfaction of hearing the wonderful chamber music coaching sessions and seeing the student participants thrive both musically and socially. What would you say to others considering volunteering for the SAA? I would say to them that together we are the SAA, and the SAA needs us all to give of our time and experience to help make all of its events inspirational. Susan Gagnon is an SAA Cello Teacher Trainer. Susan Gagnon holds a Bachelor of Music from the University of Western Ontario. Susan was the recipient of a Canada Council grant to attend masterclasses at the Banff School of Fine Arts with Janos Starker, Aldo Parisot, and Tsuyoshi Tsutsumi. She has played with the Hamilton Philharmonic Orchestra since 1983. Ms. Gagnon has been on the faculty of the Royal Conservatory of Music, Toronto since 1984 where she is a Suzuki Department coordinator and a core member of the Young Artists Performance Academy faculty. She is an examiner for the Royal Conservatory of Music and compiled their 2013 cello series. She also is a member of the Canadian Federation of Adjudicators. Susan is past Chair of the Suzuki Association of Ontario. She has taught at Suzuki Institutes in both Canada and the United States and at Music at Port Milford since 1995.